One of the highlights of last summer was turning on MiLB.TV to watch Monarcas de Eugene play at home. 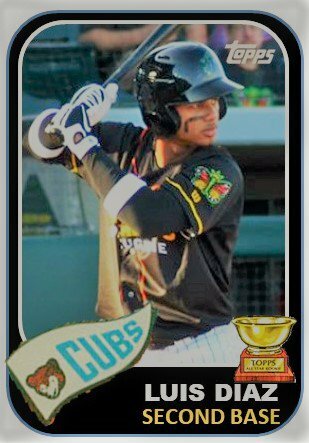 I loved everything about the Cubs’ Northwest League short season affiliate being one of 30+ teams participating in MiLB’s initial Copa de la Diversión. The uniforms and hats were spectacular and the crowds were enthusiastic. According to MLB, the program also made the affiliated clubs a lot of money through attendance and merchandise sales. While many Hispanic fans do take great pride in the new nicknames and identities, what I like most about the program is how it impacts the players, especially those from Latin America. They take a lot of pride and honor in wearing the specialty jerseys and hats. The Ems even recently released a new hat for 2019. From a card maker’s perspective, I love how those uniform colors just pop on baseball cards. The black color of the background allowed for the orange, yellow, and green of the uniform to stand out in any picture the Monarcas/Emeralds released or photograph taken by the noted Jared Ravich. 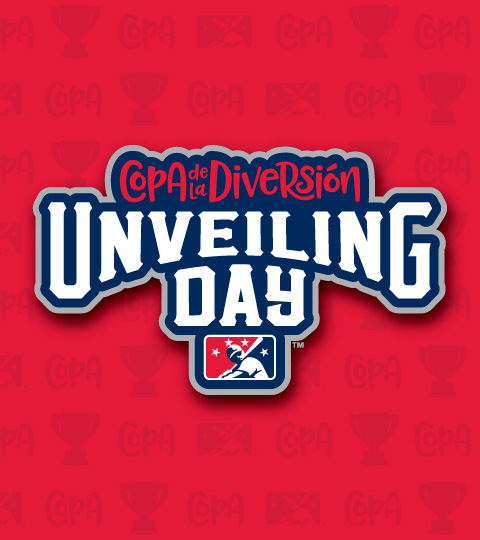 Beginning around 10 a.m., MiLB began revealing the teams in groups of about 8. Myrtle Beach and Iowa were slated to be announced by 1 p.m. As MiLB released the new team identities, they also released their new hats. I loved the gear with their tropical colors and designs. I started getting excited to see what Iowa and Myrtle Beach had in store. Here are their Copa de la Diversión identities. Iowa came first. 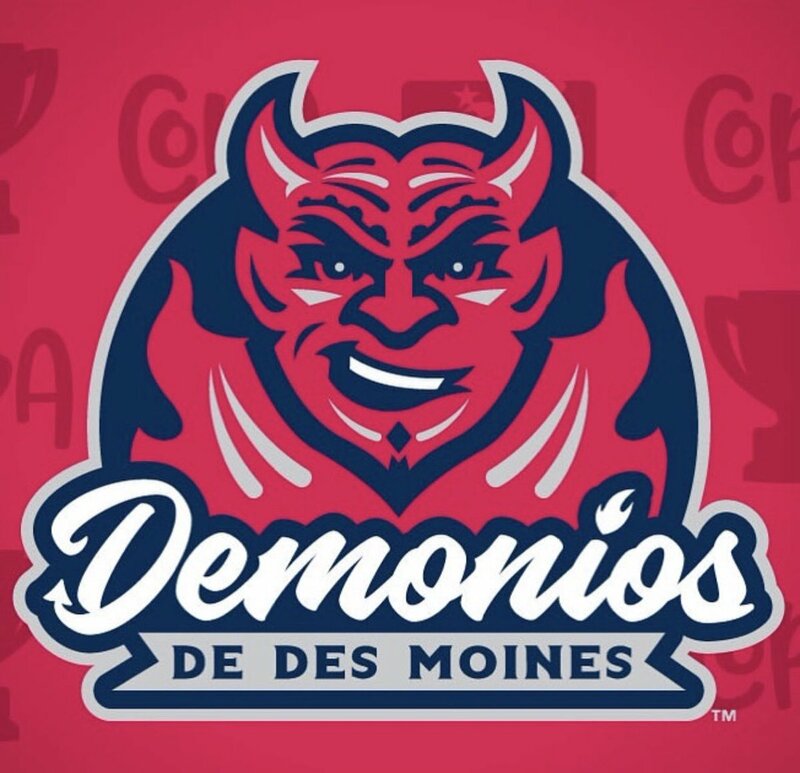 They will only wear the uniforms for three games as the Demonios de Des Moines. According to the Iowa Cubs, the name has a historical context. The professional baseball team in Des Moines was known as the Demons from 1925-1937 and again from 1959-1961. Our community came together to cheer and celebrate as the Demons became Western League Champions in 1925 and 1926 and then captured the Three-I League title in 1959. The Cubs will wear those hats and unis on June 8, July 28, and August 25. 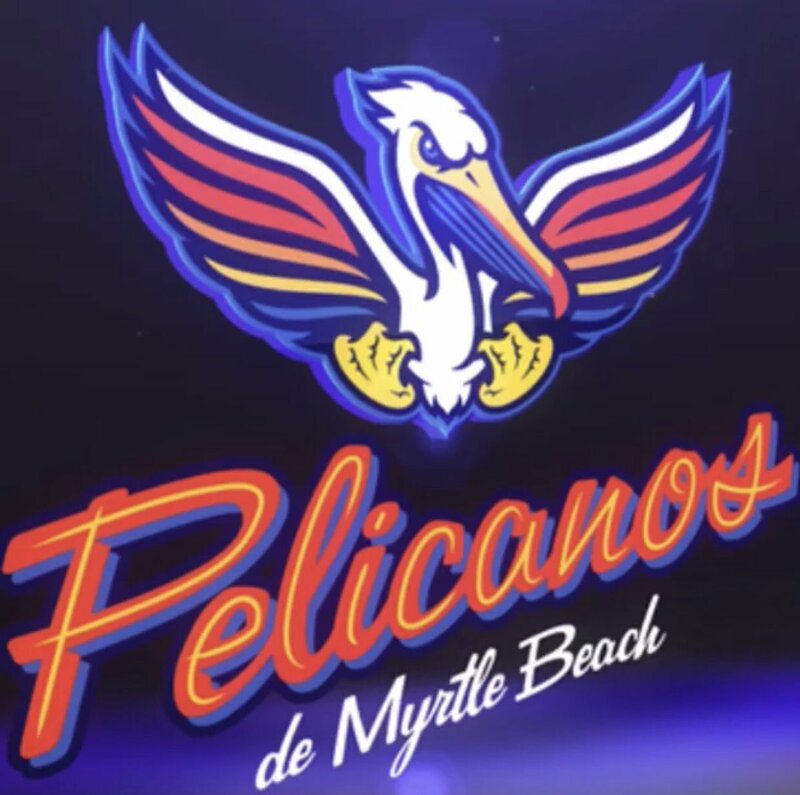 The Pelicanos will play April 14, May 5, June 23, July 21, and August 18. Iowa – As of today, there were only 3 items on sale. .The Hat was $37. I think I will just get the T-Short for now. Myrtle Beach’s gear is pretty tight! I cannot wait to get it ordered! The orange shirt is going to look good in my collection! As for Tennessee and South Bend, you are now on deck.